The rules of inheritance customary law are legal norms that regulate how the objects or inheritance are distributed to heirs from generation to generation. Each region is inseparable from the influence of different kinship arrangements, including patrilineal, matrilineal, parental or bilateral. The heterogeneous village of Jelbuk has indigenous tribes, namely the indigenous Jelbuk tribe who was born and settled in Jelbuk Village and the majority are Madurese. In addition, there are migrated Madurese people, where the indigenous Madurese bond with the Jelbuk people so that they finally decide to stay and do inheritance, so that the purpose of the research is the inheritance system and gender. 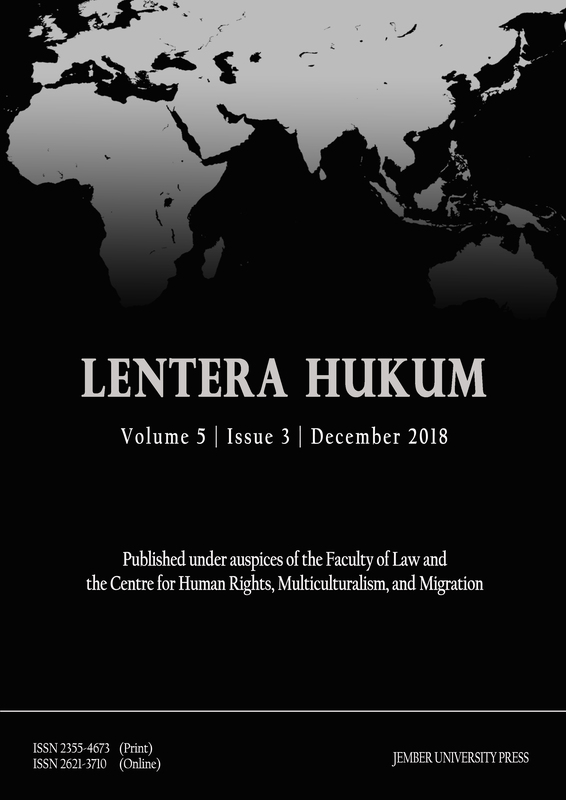 This paper uses an empirical juridical method with the case approach of written customary law (socio-legal) and comparative approach. ATLANTA, Nur Nafa Maulida; RATO, Dominikus; ZULAIKHA, Emi. Studi Komparasi Hak Waris dalam Hukum Adat dan Islam di Masyarakat Madura Perantauan Desa Jelbuk, Kecamatan Jelbuk, Kabupaten Jember. Lentera Hukum, [S.l. ], v. 5, n. 3, p. 408-423, dec. 2018. ISSN 2621-3710. Available at: <https://jurnal.unej.ac.id/index.php/eJLH/article/view/8242>. Date accessed: 23 apr. 2019. doi: https://doi.org/10.19184/ejlh.v5i3.8242.